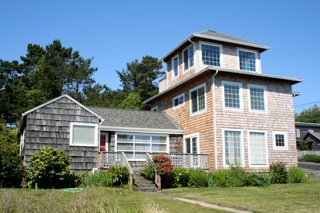 This coastal home added a second floor master bedroom and solarium above an existing single story addition with a flat roof. 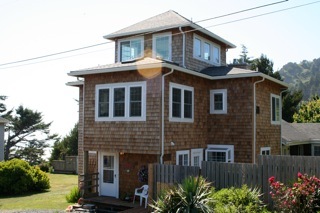 The tower on the third floor allows a wrap around view of the ocean and is accessed with a spiral stair. 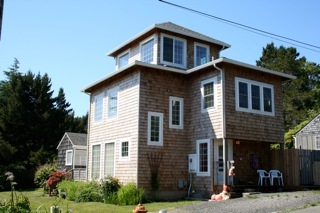 Original house showing the flat roof portion to be changed. 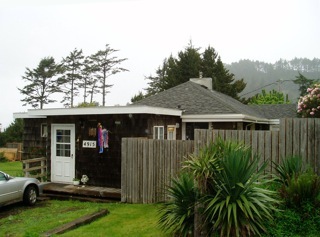 Same view of the house after the addition. 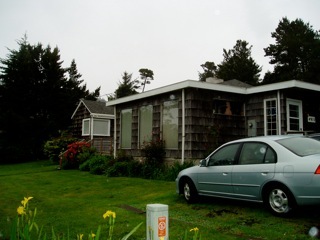 Another view of the original house showing the flat roof portion to be changed with remodeled results below.